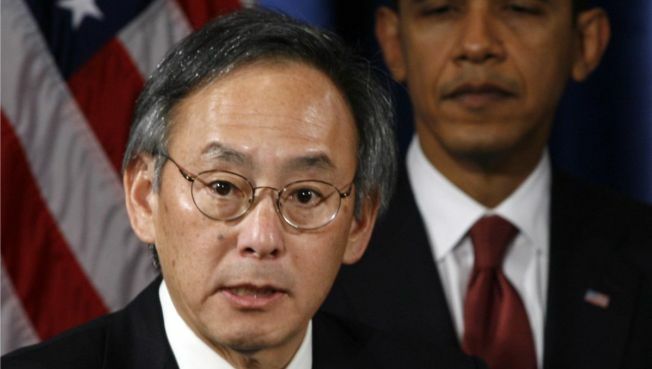 Obama Energy Pick Guided By "Sherpas"
Time to call in a sherpa for Nobel physics laureate Steven Chu. Energy Secretary-designate Steven Chu can be seen in many shades of green: He’s an expert on renewable energy and, arguably, the biggest politically rookie to join the new Obama Cabinet. Chu’s Washington experience until now has been mostly participation on obscure Energy Department committees, where he was revered as a Nobel Prize winning physicist. When Chu appears under the television Klieg lights on Tuesday for his confirmation hearing before the Senate Energy and Natural Resources Committee, he could be fielding politically charged questions from senators who aren’t much impressed with his big prize. Time to call in a sherpa – Washington style. Sherpas, officially, are guides for adventurers in the Himalayas. Inside the Beltway, they are the handlers who shepherd neophytes – and some veterans – through the exotic world of the Senate. As far back as the 1960s, Senate historians say, senior White House aides began providing top-level appointees to assist White House nominees through the confirmation process. At first, the help came from the White House congressional liaison office, which was soon became overwhelmed by requests. “We think it eventually got to be too much for the White House, so they began to include other people in the process – former members of Congress and lawyers,” said Senate historian Betty Koed. Sherpas for Obama’s Cabinet picks include Linda Gustitus, a former chief of staff for Sen. Carl Levin (D-Mich.), who’s guiding Homeland Security Secretary-designate Janet Napolitano. Obama’s choice for secretary of housing and urban development, Shaun Donovan, another Washington newcomer, is being guided by Kara Stein, legal counsel and senior policy adviser to Sen. Jack Reed (D-R.I.). Even the veterans can use some help. Interior Department pick, Sen. Ken Salazar (D-Colo.), is under the guidance of Trudy Vincent, legislative director for Senate Energy Committee Chairman Jeff Bingaman (D-N.M.), according to one of his aides. Chu’s sherpa is Dan Utech, a fresh-faced Capitol Hill insider who is energy adviser to Sen. Hillary Rodham Clinton (D-N.Y.), who Obama has tapped to be secretary of state. Utech is leading a team of about a half dozen congressional-savvy experts who are preparing Chu with a series of “murder boards” or mock hearings. Utech is also serving as a liaison during meetings with key Senate Energy Committee members, including Chairman Jeff Bingaman (D-N.M.) and senior Republican Lisa Murkowski of Alaska. “Utech knows the way of the Senate. He knows how the game is played, and he knows where the landmines are,” said Daniel Weiss, a climate expert at the Center for American Progress. “Utech will be very important to Chu, who has a great many attributes, but doesn’t have a lot of Washington policy experience,” Weiss said. Utech is also preparing Chu, director of the Lawrence Berkeley National Lab Director, for the battery of questions expected from Republicans on a range of issues from his positions on gasoline taxes and the offshore drilling moratorium and is advising him on myriad other matters, including discreet ways of requesting a restroom break if the hearing drags on. While Chu’s appointment is expected to be fairly non-controversial, statements he made as an academic could come back to haunt him. Murkowski and other lawmakers, who have scoured his record, plan to raise concerns over comments that suggest he supports a steady increase in the federal gas tax over 15 years to adapt the country to more efficient vehicles. Obama opposes a gas tax hike now, an area where experts warn Chu must be careful not to contradict the president-elect. “A lot of academics held that belief, but it’s not something we think Republicans will support,” said Robert Dillon, spokesman for Murkowski. A strong supporter of capping and trading environmentally harmful carbon emissions, Chu will likely face resistance from a handful of Republicans on the committee who are still skeptical of the idea. Another possible bump: Chu is not well known to the two key leaders on the Senate Energy Committee. Bingaman met him once in October while touring Chu’s lab, aides said, and Murkowski has never met him. Utech’s role is to make Chu aware of the potential pitfalls that await him, as well as the bailiwicks and pet peeves of the senators, many of whom Utech knows well from his work on the Hill. Utech is a well known force with environmentalists, noted for his cool pressure in closed door meetings and his knack for writing groundbreaking energy policy. He also made occasional appearances during the campaign, including co-hosting an energy forum with Obama energy adviser Jason Grumet last spring at Duke University. When the Senate geared up to consider major climate change legislation in late 2007, Clinton faced mounting pressure from environmental groups to hammer out her position on global warming just weeks before the Iowa caucuses that kicked off the presidential primary season. Environmental experts credit Utech with recommending that the senator co-sponsor a set of amendments with Sen. Bernie Sanders (I-Vt.) that included tightening emission caps and solidified her position to voters as a climate crusader. Utech was also instrumental in identifying green jobs as a key policy issue, which led to a Clinton green jobs proposal that eventually became a clean jobs provision in the 2007 energy act, environmentalist say. Mike Berman, president of the Duberstein Group, who served as a sherpa during the confirmation process of Clinton Environmental Protection Agency Administrator Carol Browner, warns that even the best prepared candidate can still become flustered by unexpected questions, or the Senate’s hearing etiquette. “The first thing they have to understand is that no one will be paying rapt attention to you,” said Berman, who coached Browner to pause before answering a senator’s question in order to appear thoughtful.